In this time, when earning a living from music must seem a more daunting task than ever, musicians draw upon their art in a variety of ways. Some turn to painting, some are found running workshops for other aspiring musicians. For Willy Vlautin, writing novels has become a central element to his artistic output. It’ll be hardly surprising for those familiar with the storytelling in the lyrics of his songs for Richmond Fontaine and The Delines. As with his songs, Willy Vlautin has become adept at looking at the trials and tribulations of ordinary people. 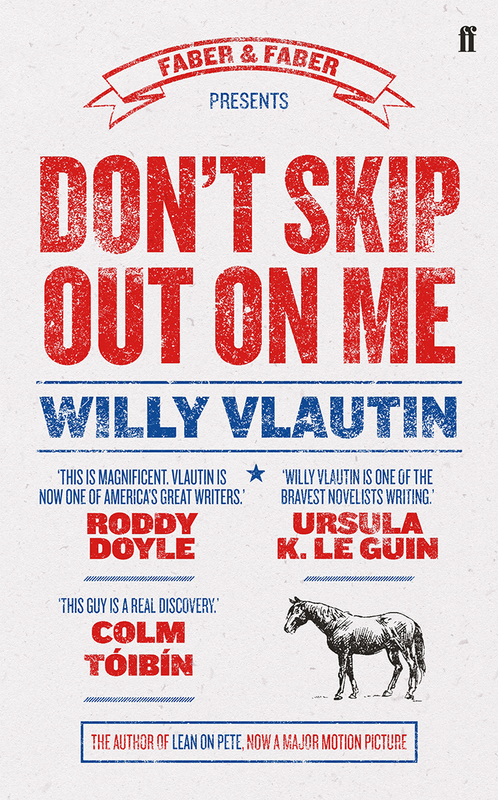 ‘Don’t Skip Out On Me’ is his fifth novel to dig into this area with some of its predecessors having already won awards and been turned into films. That cinematic feel pervades the whole novel as it looks at how one person can have life thrust upon them and another can attempt to take a hold of life like grabbing a bull by the horns. Whilst we shouldn’t give too much of the tale away, the latter takes on life in an ambitious tilt at becoming a boxing champion. The former has a life that is tied to the family farm. With an observational eye often compared to Raymond Carver, Vlautin presents the challenges faced by these characters in their parallel pursuit of life in the states of the American west and Mexico. It all adds up to a page turning read that begs to be turned into a film. Like with some of his earlier books, the first print run comes with a CD soundtrack of instrumentals provided by Richmond Fontaine. As the band played its farewell tour in 2017, this will be a welcome bonus for their fans. However, let’s not forget that the centrepiece to this work is a fine book that deserves all the plaudits that it’s receiving and seems set to successfully continue Vlautin’s career as a novelist.